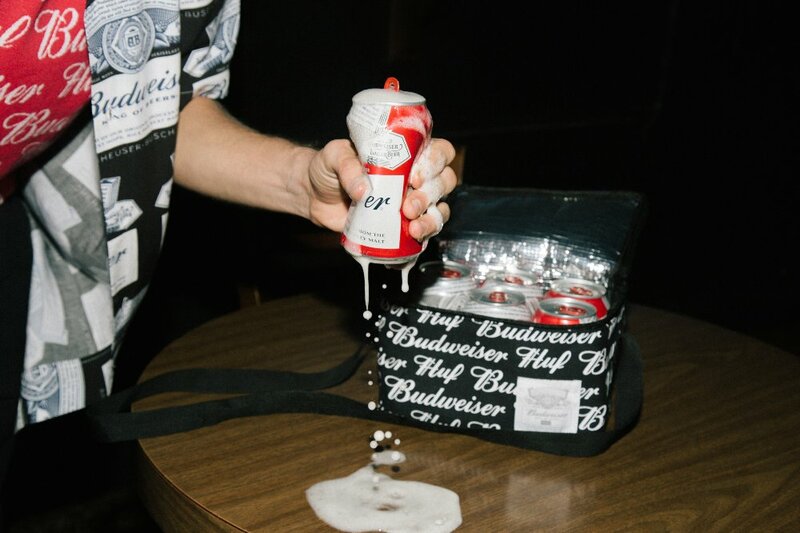 Introducing ‘Hufweiser', a collaborative collection of Huf and Budweiser. Partnering with the ‘King of Beers’, Huf highlights and merges both their classic fitting templates and rich skate and street knowledge alongside Budweisers timeless logos and 140 year iconic heritage. A collection incorporating a mix of tees, hoodies, jackets, accessories and more, Hufweiser is one we’re backing for all the right reasons! Say cheers by checking out our exclusive chat with Huf’s Creative Director, Romeo Tanghal below as we talk about how the relationship between the two first came to fruition, who were the key people involved with the collections development, what his favourite piece is and much more. Shop the full collection here and just remember, this Bud’s for you! Give us a run-down of yourself and your position at Huf? Romeo Tanghal and I’m the Creative Director for HUF, which means I oversee the design team on all seasonal and collaborative collections and make sure we’re pushing, innovating, and elevating all while maintaining the heritage of the HUF brand. You’ve worked on some epic collections in the past, the most recent being a collab with Budweiser. What makes this one so special and unique over others? 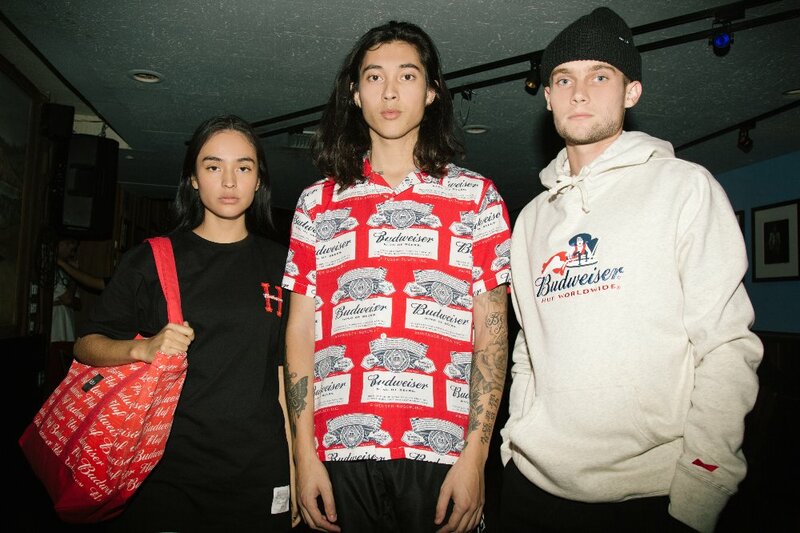 Budweiser is the epitome of a classic Americana brand with 140+ years of iconic heritage, so being able tap those assets for inspiration on a full collaborative collection was an amazing opportunity that doesn’t come up often. What first bought the collaboration to life? Actually, Budweiser has always been on the table as one of the brands we’d love to collaborate with. Out of the blue, someone from their team reached out to us about a possible opportunity, so of course we were down and the ball just got rolling from there The collection is a perfect celebration of both brands. Who are the key people involved with bringing it all to life? The HUF design team of course, for creating all the product and the marketing team for bringing all the designs to life via social media and the lookbook. Both brands have solidified their place in each industry. Who makes the final call on the finished cuts, colours and mock ups and how important is it to make sure it all meets what you set out to achieve from the first conversations? Obviously the HUF brand is a lot smaller than Budweiser, so their approval process is a lot more entailed than ours. We did all the designing on our end and then it had to go through multiple approval processes on their end. We just wanted to make sure we carried through on our initial intent of maintaining the iconic Budweiser heritage but pushing the envelope and bringing something new to the table that others brands haven’t done. Run us through the design process from first putting pen to paper to eventually seeing the end product? With a brand like Budweiser who’s been around since the late 1800’s, there’s so much heritage to inspire you. So, the first step with the design team was to research, pull out elements that we felt were iconic, but also fell in line with what HUF is. We searched the internet for old ads, shopped for vintage Budweiser clothing and accessories, watched old commercials, etc to inspire us. From there we had to figure out what HUF could contribute to make it different from all the other Budweiser merchandise that’s out there. There were tons of mock ups, multiple rounds of designs, lots of communication back and forth between both teams. Some ideas were thrown out because they didn’t align with their brand or vice versa. In the end, I think the final pieces that made it to retail really showcase both brands really well. What’s your favourite piece and why? 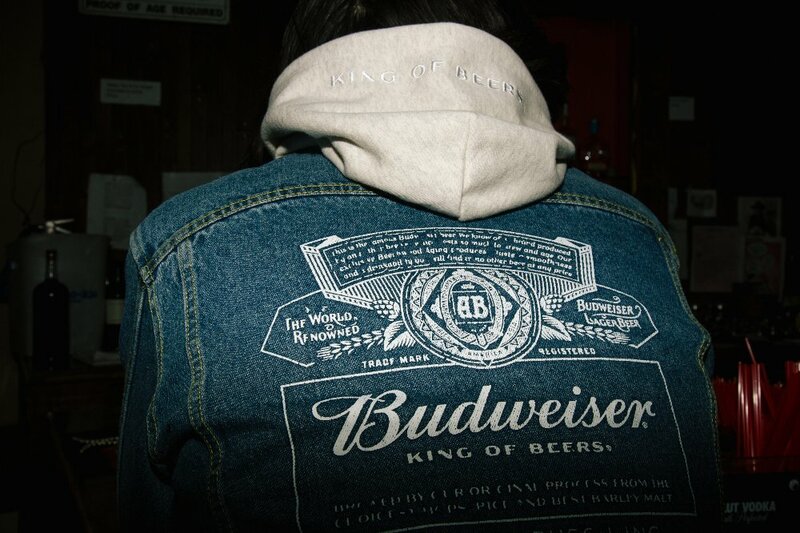 The Budweiser Denim jacket because it’s just a great story telling piece. It’s a classic vintage Americana trucker jacket, with a corduroy collar. 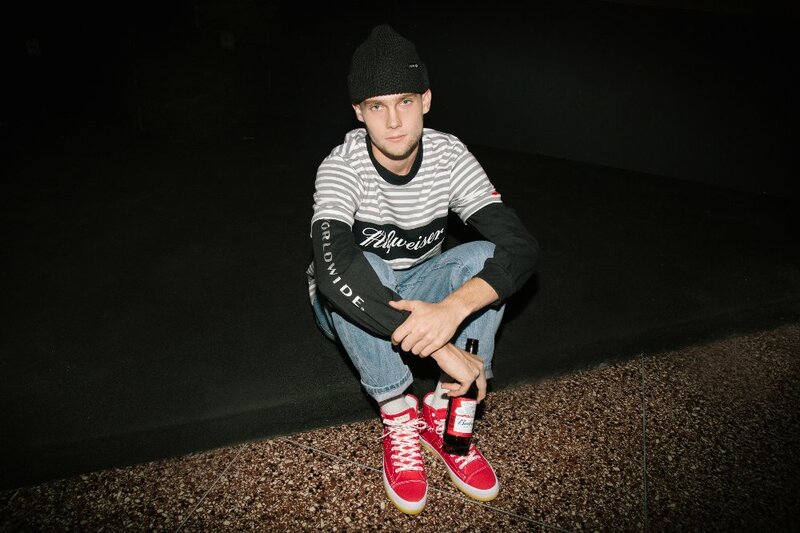 It has a HUF script chainstitch embroidery on the front, a small red embroidered Budweiser bow-tie on the sleeve and a Budweiser print on the back, but what ties it all the together is the “HUFWEISER” leather label on the back bottom hem. I just love how all those small details came together and made for a timeless piece of clothing that’ll still be cool years from now.